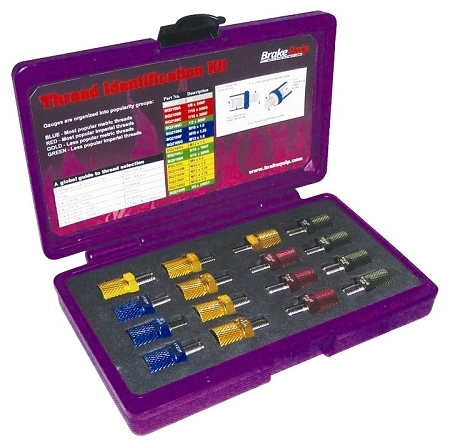 BrakeQuip Automotive Thread Gauge Kit - Identifies 99% of Brake Plumbing Threads! Instantly identifies 99% of brake plumbing threads. Includes both metric and imperial sizes. Includes both male & female size gauging. Comes in a durable plastic case. All threads are hardened for long life. 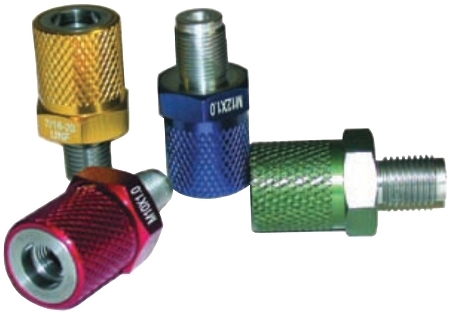 Male thread gauge is designed with a seat for use as a plug. Color coded in groups for fast selection. *Please contact us to inquire about purchasing individual gauges. TOOL IS A MUST FOR ALL GARAGE AND TOOL BOXES. THIS IS SOMETHING I COULD HAVE USED A LONG TIME AGO. BUT NOW I HAVE AND WILL NEVER HAVE ANY DOUBT OR WASTED TRIPS BACK AND FORTH TO HARDWARE STORES.